This "Auntie's Mock Meringue Topping" recipe is a creation born out of the dislike of traditional meringue! I love making pies; however, I have always disliked the texture and taste of meringue. This recipe produces the same peaked look as meringue, and tastes delicious! ~ Amber S.
Whip cream cheese, vanilla, and sugar with mixer until smooth and fluffy. Fold cool whip into cream cheese mixture gently. 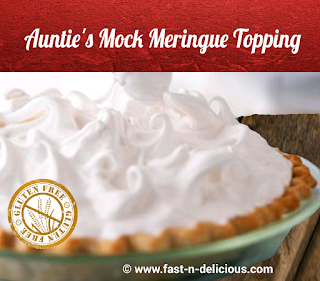 Use to top pies instead of traditional meringue. Cut in shortening with pastry cutter or butter knives. Add water 1 tbsp at a time to carefully form a ball. Roll on floured surface or between sheets of wax paper to desired diameter. Also known as a "Italian Wedding Soup". 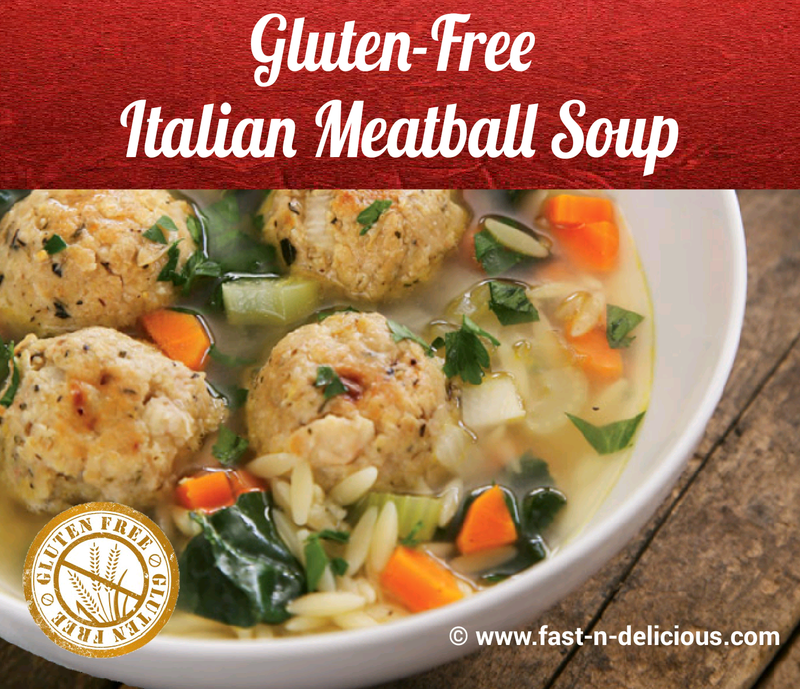 In a crock pot this recipe produces a flavorful, firm meatballs in a delicious soup that works great for those bone chilling days. Great for lunch or dinner. Is served with fresh Italian bread and topped with grated Parmesan cheese. Put the broth in the slow cooker to get hot while chopping the vegetables. Add the carrots, celery, onion, garlic, seasonings and lemon juice. Then turn down the heat and cook until the carrots are very tender. Squeeze the thawed spinach gently to remove excess liquid, and add with the pasta 20 minutes before serving. 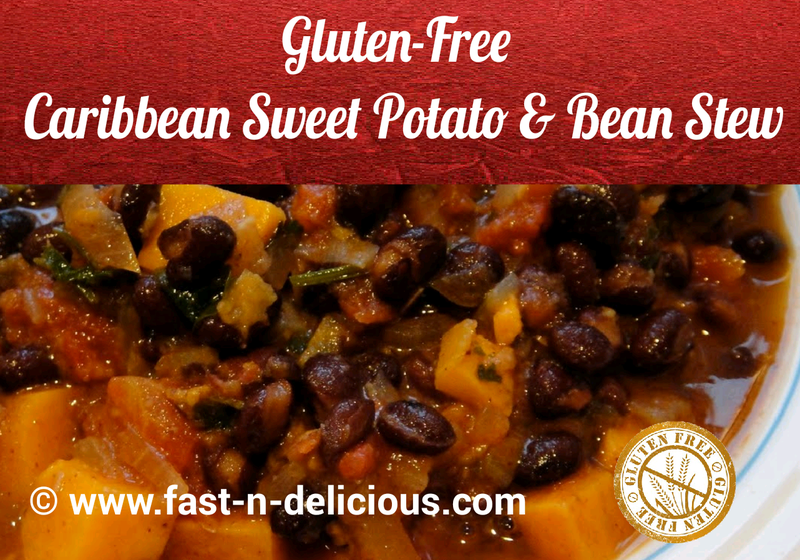 This "Gluten-Free Caribbean Sweet Potato & Bean Stew" is a vitamin packed stew that combines sweet and spicy flavors for an extraordinary taste. 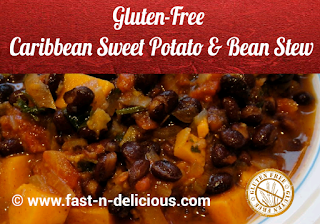 Combine sweet potatoes, green and black beans, broth, onion, jerk seasoning, thyme, salt and cinnamon in slow cooker. Cover; cook on low for 5 to 6 hours or until vegetables are tender. Spread almonds in single layer on baking sheet. Bake 8 to 10 minutes or until golden brown, stirring frequently. Serve with hot pepper sauce, if desired. 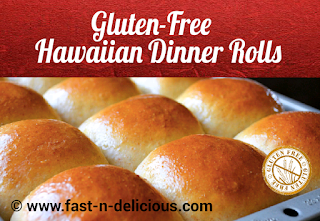 Even the beginner cook can make these delicious home-made "Gluten-Free Hawaiian Dinner Rolls". They must chill 2 hours. Or you can make them up 3 days in advance. Combine coconut milk (110 degrees F) and yeast in large bowl; let stand for 5 minutes. With wooden spoon, stir in butter, sugar, eggs and salt. Add flour, 1 cup at a time and beat in as much as you can. Cover and refrigerate for at least 2 hours, or up to 3 days. Punch dough down and divide into 24 balls for dinner rolls or 3 equal parts for bread loafs. Place in a oiled 9 x 5 inch baking pan, 5 rows 3 across or in loaf pans. Cover and set in a warm spot until they double in size. Bake at 350 degrees fot 25 to 30 minutes oe golden brown. 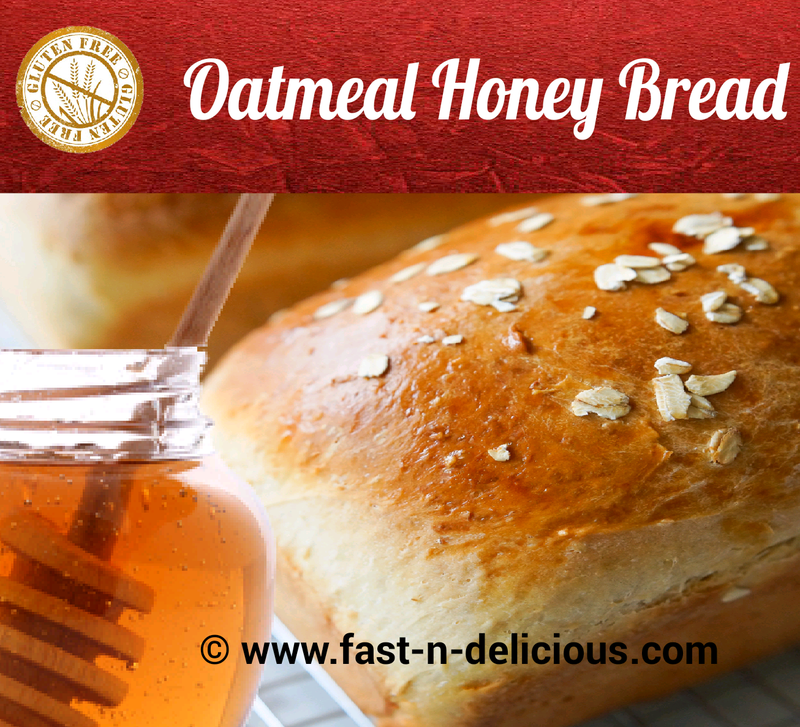 This "Gluten-Free Oatmeal Honey Bread" recipe is easy to make and delicious. A bread for the Gods. Put oats in large bowl and cover with milk. Stir and let stand until lukewarm. Sprinkle or crumble yeast into water. Use very warm water (1050F to 1150F.) for dry yeast; use lukewarm (800F to 900F for compressed. Let stand a few minutes; then stir until dissolved. Add yeast mixture, honey, salt and ginger to oat mixture. Stir in 4 ½ cups flour. Dough will be “sticky” not firm. Cover and let rise in warm place until double in bulk, about 1 to 1 ½ hour. Knead down on lightly floured surface and divide in half, put into 2 greased (I found that buttery Pam works best) loaf pans (9 x 5 x 3 inches). Let rise until double or nearly so, about 45 to 60 minutes. Bake in preheated oven at 3500 for 45 to 50 minutes. Bread keeps well for about 5 days if kept in airtight container. 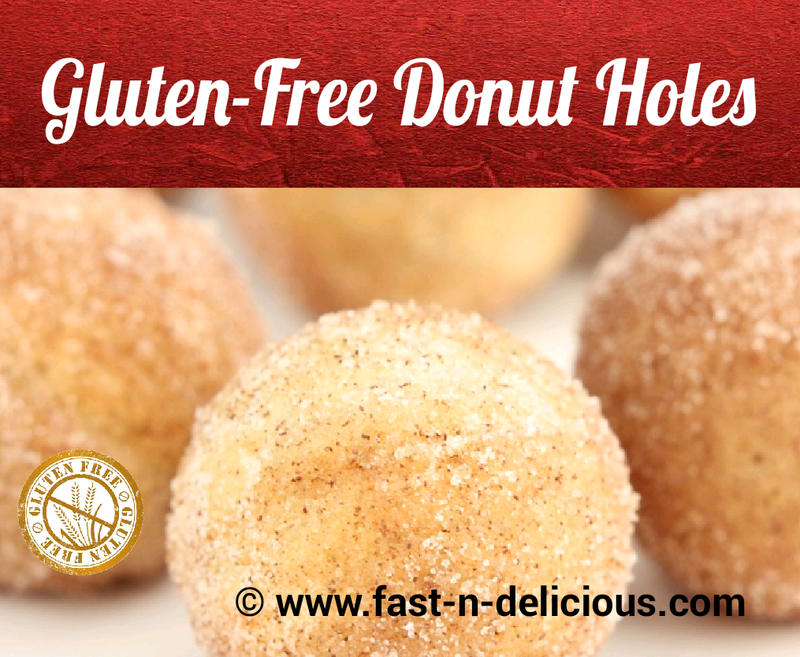 This "Gluten-Free Donut Holes" are easy make and delicious. Your children and grandchildren will love them. Add the vegetable oil to a large, heavy-bottomed pot. Attach the deep-fry thermometer to the pot and heat to 350ºF. Line a baking sheet with paper towels.In a small bowl, whisk together the milk and the egg. In a separate medium bowl, whisk together the flour, stevia, baking powder and salt. Stir the milk-egg mixture into the dry ingredients, then stir in the melted butter, mixing until a soft dough forms. Once the oil has reached 350ºF, use a ice cream scoop to drop about 1 tablespoon scoops of dough into the oil, careful not to overcrowd the pan. Fry the doughnut holes, flipping them in the oil, for about 2 minutes or until they're golden brown. 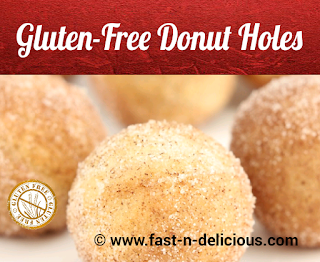 Allow the doughnut holes to cool slightly. If you want you can roll them in powdered sugar, brown sugar or cinnamon & sugar. A gluten-free diet doesn't mean you have to do without all your favorite foods it just means you have to cook your own food this "Gluten-Free Pizza Dough" recipe is absolutely delicious. Try it the next time you want a pizza. Pour 2/3 cup warm water into small bowl; stir in yeast. Mix 1 1/2 cups flour, sugar, and salt in processor. Transfer to lightly floured surface. Knead the dough until smooth, adding more flour by tablespoonfuls if dough is very sticky, about 1 minute. Cover bowl with a dish towel and let dough rise in warm draft-free area until doubled in volume, about 1 hour. Rolling out the dough according to recipe instructions. Start in center of dough, working outward toward edges but not rolling over them. 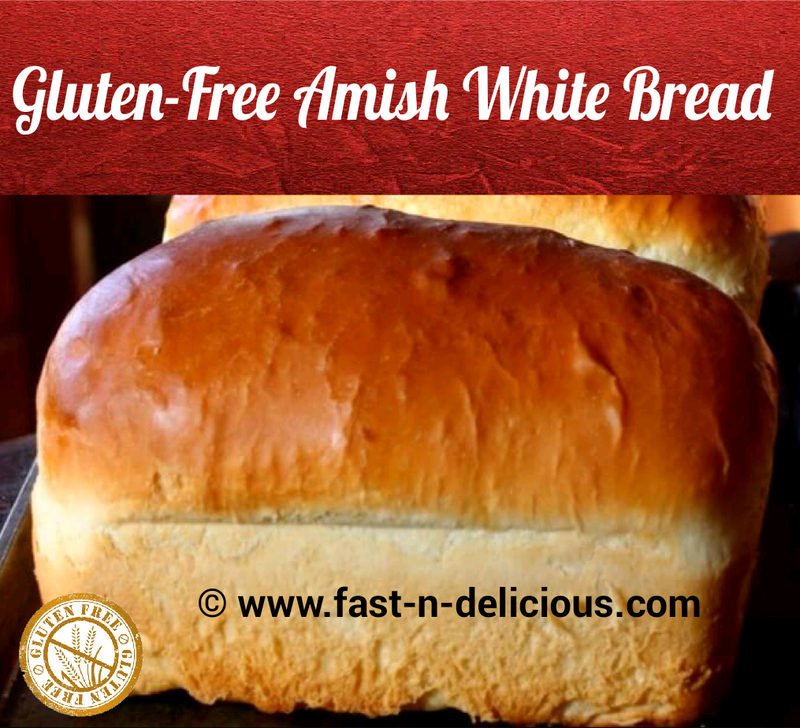 There's nothing in the world like "Gram's Gluten-Free Amish White Bread" recipe absolutely mouth watering delicious. As a matter of fact, once the aroma from the bread cooking escapes your kitchen a line will quickly develop for a slice. In a large bowl dissolve, the sugar in the warm water. Add the yeast and stir until it has dissolved. Allow to proof until yeast resembles a creamy foam; about 10-15 minutes. 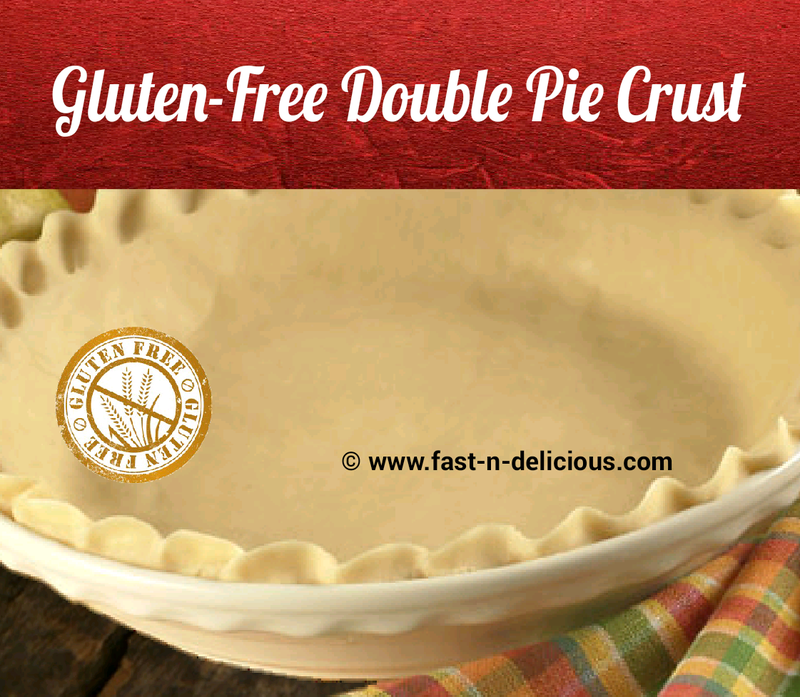 Begin adding one cup of the flour at a time to the yeast mixture. 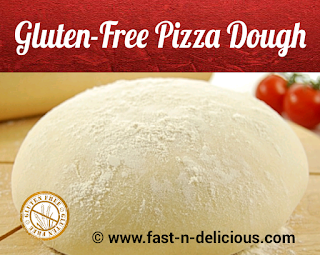 If you’re not using mixer knead dough on a lightly floured surface until smooth; no lumps. Place in a well-oiled bowl and turn dough to coat the outside layer of the dough. Cover with a damp cloth; barely damp not dripping wet. Place in a warm draft free area and allow to rise until doubled in size; about 1 hour to 1 ½ hours. Remove cloth and punch dough down. Knead for a for 1 to 2 minutes. Divide in half and shape into loaves. Place into two well-oiled 9x5 inch loaf pans and turn dough to coat the outside layer of the dough. Clover with damp cloth; barely damp not dripping wet. Allow to rise 30 to 45 minutes or until the dough rises 1 inch above rim of bread pan. Preheat over 375 degrees 8-10 minutes. Lower temp. to 350 degrees F. for 35 minutes or until top is golden brown. Remove pans oven and turn pans upside-down to allow for the bread to fall out of the pan. Place bread on cooling racks for 30-45 minutes before the hungry hounds hoards hound you out of a slice of warm bread. 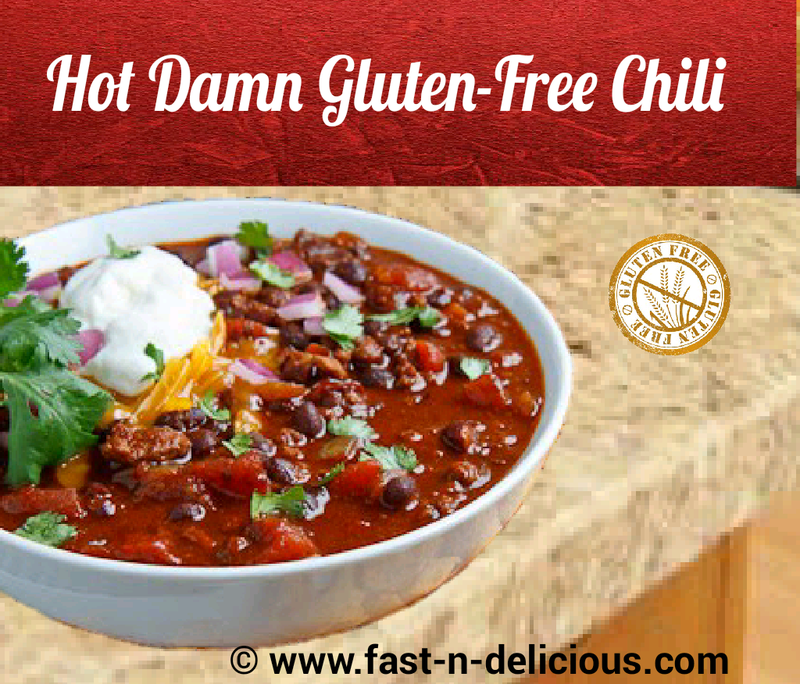 The best "Hot Damn Gluten-Free Chili" recipe on Earth. 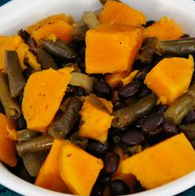 It's super easy to make and mouth watering delicious. Hot sauce, Onion powder, Garlic powder, chili powder and cumin to taste (There is no such thing as too much). 4-5 days in advance make the marinade - substituting hot sauce for the vinegar - and freeze the meat in the mix. The night (or that morning) before cook off the meat, sauté the peppers and onion in olive oil till the onions are tender. Combine the meat, peppers and onions; add in the tomatoes and seasonings. Stir and add the Chili sauce and ¼ the Bloody Mary mix and the Wasabi. Simmer for at least 45 minutes, stirring occasionally, adding more Bloody Mary mix if the sauce gets too thick. An hour before serving warm up the chili adding more Mr. & Mrs. T’s if needed and the beans. Heat at least one hour over low heat stirring every five minutes.